Lovely and decorative these stainless steel bowls are just right for presenting delicious dips, chutneys and entrees. Available in either double or triple bowl, all you have to do is decide how many treats you’re going to serve. 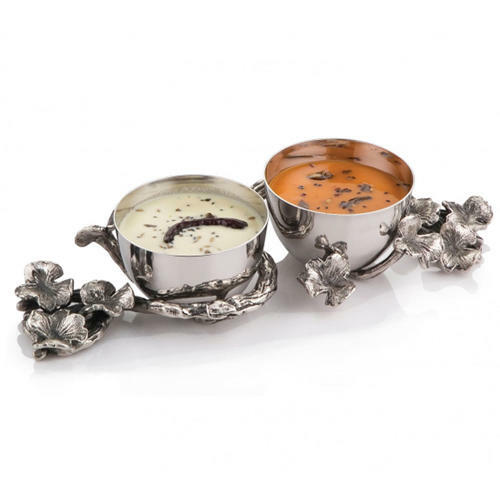 Both options come wrapped in a tangle of bramble and flowers, lending these dipping bowls a charming appearance.